The Northern New Jersey Community Foundation’s ArtsBergen Initiative, the Hackensack Creative Arts Team (CAT), and the Hackensack Main Street Alliance are seeking an artist or artist team for the Demarest Place Walkway Mural. Design and paint a mural at 135 Main Street on the corner of Demarest Place in Hackensack, NJ. Demarest Place is a unique pedestrian walkway, crossing Main Street, between the Atlantic Street bus stop and the Hackensack Performing Arts Center (HACPAC). This year, the CAT is focusing on activating the site through the arts via a large-scale Demarest Place Walkway Mural. Alexander Anderson Real Estate Group has granted permission to use the north side wall of its building at 135 Main Street, on the corner of Demarest. This art application is a recommendation based on the outcomes of the Hackensack Strategy Lab, a joint initiative of the National Consortium for Creative Placemaking and the Northern New Jersey Community Foundation’s ArtsBergen Initiative, held at Demarest Place on October 17, 2017. Fifty members of Hackensack and surrounding communities collaborated to brainstorm ideas of art, physical elements (lighting, seating), and cultural programming to create an enlivened and beautified public walkway that would serve as an attractive gateway to Main Street from the bus terminal and the HACPAC. Hackensack, NJ is going through a major renaissance and redevelopment. The city believes the arts plays an essential role in bringing positive change that will better all who live, work, and visit there. Demarest Place is a unique pedestrian walkway that the city is working to transform into a public space for the arts. The selected artist has an opportunity to showcase his/her creative vision on the wall of a prominent building that can be seen from Main Street. It will be viewed by hundreds of passers-by from the new Performing Arts Center and bus station. One artist or artist team will be selected for the Demarest Place Walkway Mural. The selected artist or team will be paid $9,600 in total for the project, including supplies, planning meeting, design, wall preparation, painting, and sealing of the mural. 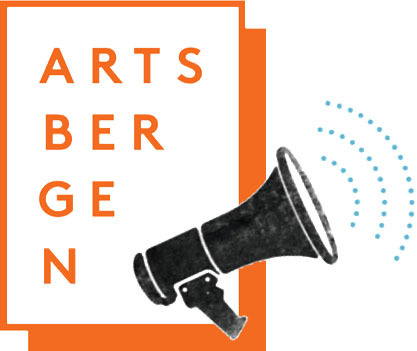 The Northern New Jersey Community Foundation’s ArtsBergen Initiative has been partnering with the City of Hackensack, the Hackensack Main Street Business Alliance, and its Creative Arts Team for three years to integrate arts and culture into the city’s redevelopment plans. Together they have accomplished many creative placemaking projects that are enlivening the city through the arts: The Main Gateway Mural Project, Art on a Stick, Interactive Arts Village, and the Utility Art Box Project. They want to make Hackensack a more vibrant place where the arts and artists flourish and community is made stronger. The Hackensack Creative Arts Team (CAT) is a group of artists, merchants, organizational leaders, and public officials working to implement a creative placemaking plan for the City of Hackensack. Creative placemaking is the integration of arts and culture into a neighborhood, town, or region to build community and livability and boost local economy. The CAT works to identify projects that will move forward the Creative Vision Statement it drafted with the input of various members and sectors of the community. For more information, contact artsbergen@nnjcf.org. El Sol Brillante, a community garden on 12th Street between Avenues A and B in New York’s East Village, is seeking artists to create a mural along the back wall of the garden. When the garden was first incorporated, a trompe l’oeil mural along the back wall depicted lines of crops extending back into the vanishing point. For years, that mural was the symbol of the garden until subsequent construction resulted in its partial demolition. The new mural should capture the spirit of the original: the infinitely renewing power and energy of nature extending outward from the garden. A committee of garden members will meet to determine which proposals mesh best with the garden’s values and aesthetic. They will forward those proposals for consideration to the membership of the garden which will vote to determine the final project at a garden meeting. The garden has received a grant providing for a $250 commission for the artist plus all needed supplies. An additional commission may be available. Include a proposed commission in the proposal. The garden is a center of community life on 12th street, providing a haven from the hustle city life. It is a place where numerous plants flourish. The garden is a center of artistic activity, from music and dance performances to the Garden of Earthly Delights wrought iron fence created by Julie Dermansky in 1994. For more information, contact davidgeorgeschultz@gmail.com. 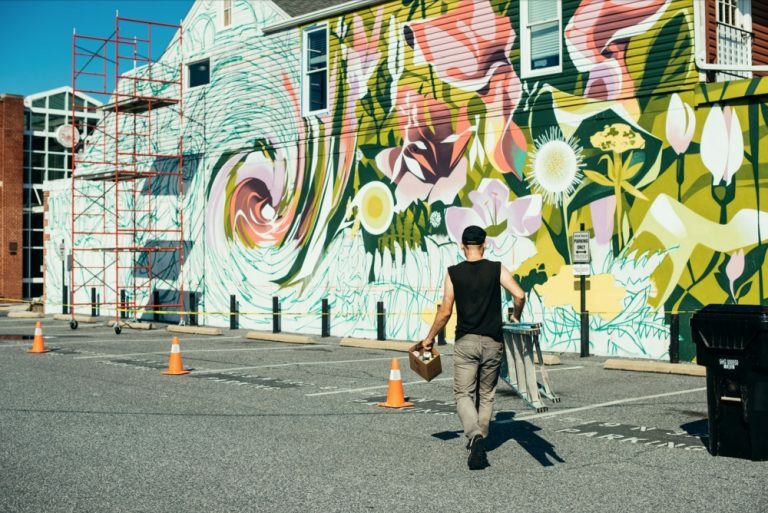 The ViBe Creative District is seeking ten artists to complete ten murals at ten locations within the Virginia Beach arts district for this Spring’s mural festival. All locations fall within the district boundaries. Artists must be United States residents and be 18 years of age or older. Artists may submit up to four samples of past completed mural projects or proposed new designs for murals (or a combination of both). Exact locations of murals will be shared with selected artists after submissions are reviewed and artists are paired with property owners. Design concepts may need to be amended by the artist to fit the necessary dimensions of the walls/buildings. The ViBe Creative District will award a $3,000 stipend to each of the ten artists for their time and talent. They will provide up to $1,000 per mural for paint/materials to complete the project. Other equipment will be accommodated when possible, including ladders or lifts. Artists will be credited with signature mural, signage for two years at each mural location, listing on ViBe Creative District website and social media, and credit with link to artists’ website on ViBe Mural Map. Artists will be welcomed to participate in several events or educational programs hosted in conjunction with the mural festival. The ViBe Creative District will promote the mural festival and all artists via press releases sure to garner multiple articles in both print and digital media. ViBe Creative District was established by a group of concerned individuals and local businesses to attract creative industries to a section of the Virginia Beach oceanfront area that desperately needed revitalizing. On April 21, 2015, the City of Virginia Beach established the boundary of the District by ordinance and declared it “an arts and cultural district and technology zone” with incentives established by the Virginia General Assembly in 2009. The ViBe Creative District’s purpose is to serve as a vibrant center for the arts, culture, and technology, and to support artists, technical, and creative businesses to help them flourish and cross-pollinate. The intent is to foster creativity where artisans live and work. It serves to provide an opportunity for a sense of discovery for visitors and residents, enhance the quality of life for citizens, and stimulate economic development and real estate values. On June 13, 2016, the Friends of the Creative District (FCD) became an affiliate organization with a purpose to support the efforts of the District businesses and non-profit efforts. Three members of the FCD sit on the ViBe non-profit Board to represent the businesses and arts within the District. Members of the FCD pay dues to have voting authority on decisions made within the group and a participation fee to be included on the ViBe website and social media marketing. For more information, contact info@vibecreativedistrict.org. The Central Avenue Special Improvement District Management Corporation (CASID) seeks creative proposals for public art installations. Proposed artwork will be installed on either a wall space or traffic box. All artists interested in participating in this program must complete and adhere to the guidelines in the Request for Proposal (RFP). It is a competitive process allowing all artwork and artists an equal opportunity to be selected. Chosen artists will create public art installations within the Central Avenue shopping district in the Jersey City Heights. The artist with the winning mural design(s) will receive agreed monetary compensation and be featured on the Jersey City Heights’ website. Media exposure may include an interview or presentation at a press conference. Jersey City, NJ has a vibrant artist community. The new art installation will be centrally located in Hudson County. 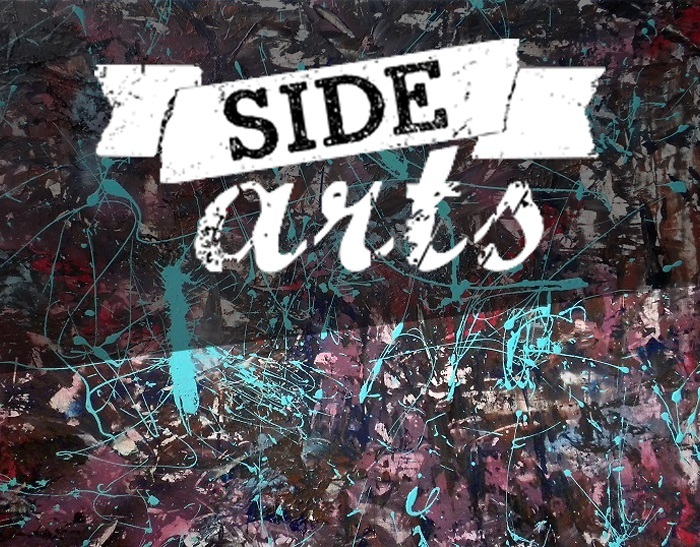 This public art installations program is organized and administered by the CASID and made possible in part by funds from the New Jersey State Council on the Arts/Department of State, a partner agency of the national Endowment of the Arts. It is administered by the Hudson County Office of Cultural & Heritage Affairs, Hudson County Executive Thomas A. DeGise, and the Board of Chosen Freeholders. The mission of the Central Avenue Special Improvement District Management Corporation (CASID) is to guide and promote the positive social growth and economic revitalization occurring in the City of Jersey City. It provides supplemental management, maintenance, and improvements to the Central Avenue business district. It is also known as the “Central Avenue Special Improvement District” (Central Avenue between Manhattan Avenue and North Street). Formed in 1992 by municipal ordinance, the CASID was one of the first Special Improvement Districts in the State. It was the first of six in Jersey City. CASID was initiated by the efforts of involved business leaders and commercial property owners within the district. It functions as a public/ private partnership between the City of Jersey City and private stakeholders to supplement, not substitute, government services. Such services include, but are not limited to, administration, marketing, maintenance, capital improvements, and other operations. An elected board of seven (7) trustees from within the district volunteers their valued time to govern the CASID. In a traditional neighborhood setting, there is a sensitive relationship between local commerce and the surrounding population. One can not thrive without the other. For this reason, it is imperative to be a key player in the community and take a general interest in local matters to better advocate on behalf of our main street community. With over 450 united members (defined as commercial property owners and/ or commercial tenants of assessed properties within the district), the CASID is one of the strongest business organizations in the City. The CASID works alongside community leaders, civic organizations, and elected officials. They guide the growth of Jersey City and its highly valued traditional neighborhood quality in the Heights. For more information, contact dd@jcheights.com.